Shahrukh Khan is the Badshah of Bollywood and he has been in the Bollywood industry for a long time. He has been working in the film industry since his Bollywood Debut in 1992. Shahrukh Khan is a self-made star and he first appeared in TV serial Fauji in 1989. He acted in a few more TV serials such as Circus, Idiot etc. He was not interested to work in the movies during that time. After the demise of his mother, he decided to work in movies as a distraction. His first movie was Deewana which was released in 1992. He won the Filmfare award for his Debut movie as Best Debut Actor. That was a great start for the actor and he continued to work in Bollywood. One of the milestones of his career was when he played Anti-hero in movie “Darr”. He played another negative role in Baazigar, he acted as a murderer. Both the role are still remembered for his outstanding acting. 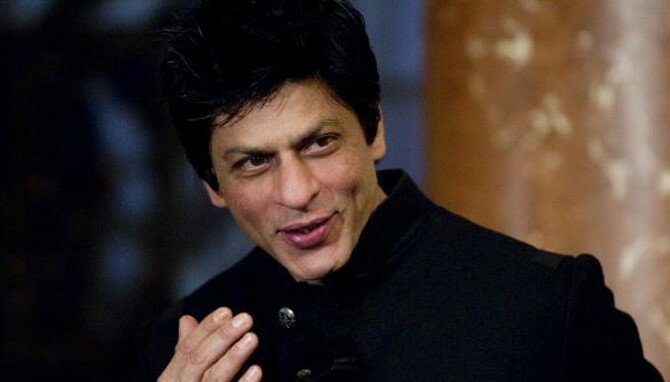 Shahrukh Khan Bio, Wiki, Age, Girlfriend, Wife, Affairs, Family, Biography & More. Shahrukh Khan age is 53 age as of 2018. His date of birth is 2 November 1965 and he weighs around 75 Kg. Shahrukh Khan’s height is 5 Feet 8 Inches. Shahrukh Khan has been working in the industry and truly came out as a king after all the struggle he has to face. Apart from being an actor, he has produced a few movies as well. Shahrukh Khan has few business ventures as well. Shahrukh Khan owns the IPL franchise of Kolkata Knight Riders. The actor knows how to sell a product and he was the first IPL team owner who managed to make some profit in the first season. His name was connected with an Indian actress and many reports suggested his affairs with his co-actresses. However, he came unaffected and he still enjoys a lovely life with his wife and kids. Shahrukh became the host of television show “Kon Banega Crorepati” and it was a successful stint. He sang few songs too, one of them being “Apun Bola Tu Meri Laila”. The song was sung for the movie Josh and he also became the playback singer for the movies Don and Jab Tak Hai Jaan.